The following activities are created with classrooms of all levels in mind and work best when paired with Britannica School. Contact your library staff to see if your institution already has access. Join us as we observe National Poetry Month this April! At Britannica, we recognize that poetry is an art form for everyone that crosses all ages and cultural boundaries. People all over the world celebrate poetry every day, in a million different ways. 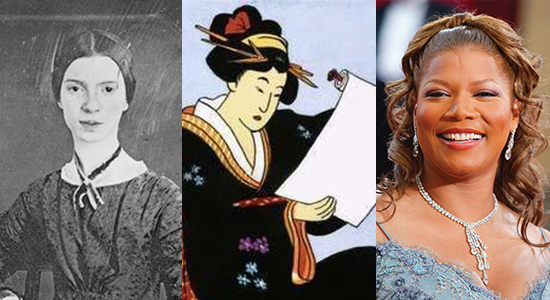 Poetry is literature that is accessible to all, from haiku to hip-hop, Emily Dickinson to Queen Latifah. This month’s Britannica School activities look at some other popular forms of poetry as well as some well-known poets. Grab your verses and stanzas, and let’s celebrate! Don’t know where to start? We’ve created resource packs to help—articles, images, videos, and more. Find the activity that fits your class with these suggestions from the Academy of American Poets. Expand literacy through rap music with a 1-hour playlist that’s squeaky clean for classroom listening. For the Animal Poetry exercise, students will research an animal of their choice and write a poem using the details they’ve learned. CHECK HERE to see if your region is one of our state-wide Britannica School subscribers. Try this with your class? How did it go? Tweet us feedback to @BritannicaLearn. Learn more about Britannica School with our self-paced video tutorials.